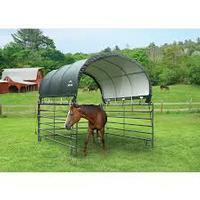 The 10 x 10 ft. Corral Shelter is an innovative, portable shelter for animals, hay storage, farm equipment storage, and much more. This unit features a universal cover frame and a tough, ripstop 7.5 oz. UV treated cover. 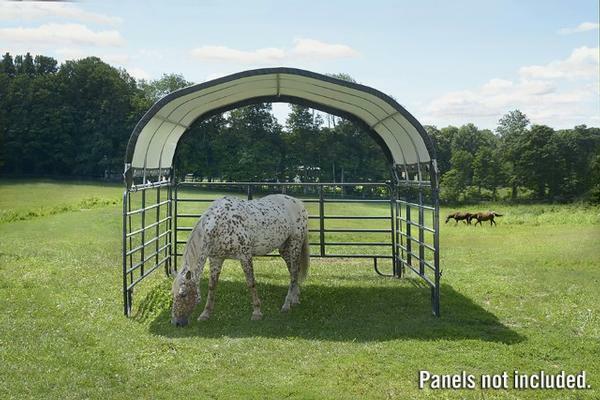 The 10 x 10 ft. Corral Shelter attaches to most corral gates and fences (sold separately) giving you the flexibility of converting a simple corral gate into a durable, reliable shade and shelter for your livestock. It's the perfect instant weather shelter that is fade resistant and moisture resistant thanks to the heat sealed fabric cover. A practical cover attachment that won't let you down. 1 3/8" / 34 mm all-steel frame with a premium, powder coated finish that resists corrosion and rust. 7.5 oz. ripstop fabric cover is heat sealed for maximum water resistance. UV treated inside and out. 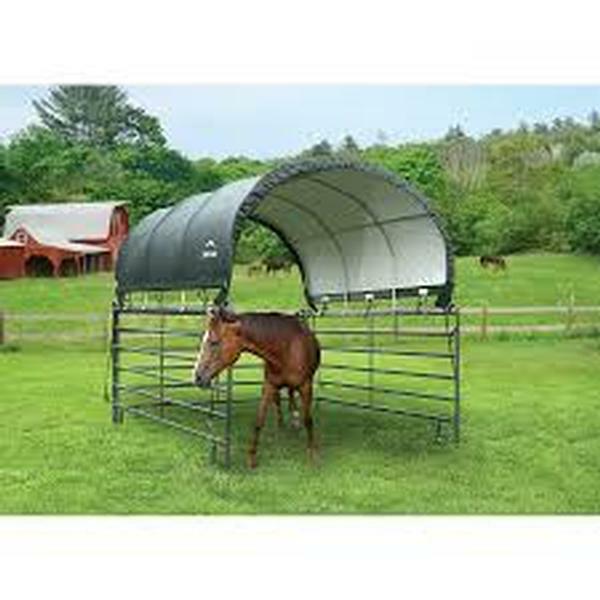 Universal Cover - fits most corral panels and gate tube profiles (round, square, and oval) - patent pending. Protective boots for each corner to prevent injury to animals. Patented ShelterLock® stabilizers at every rib connection for rock-solid strength and stability. Ratchet Tite™ tensioning for solid cover anchoring. 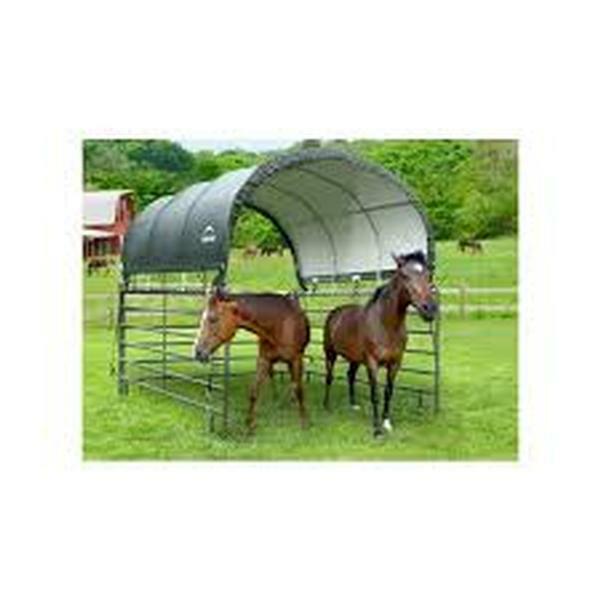 Includes complete hardware kit and easy to follow instructions for easy assembly.